Eggs abound. The colored plastic kind, the chocolate kind and the eggs in my chicken coop. 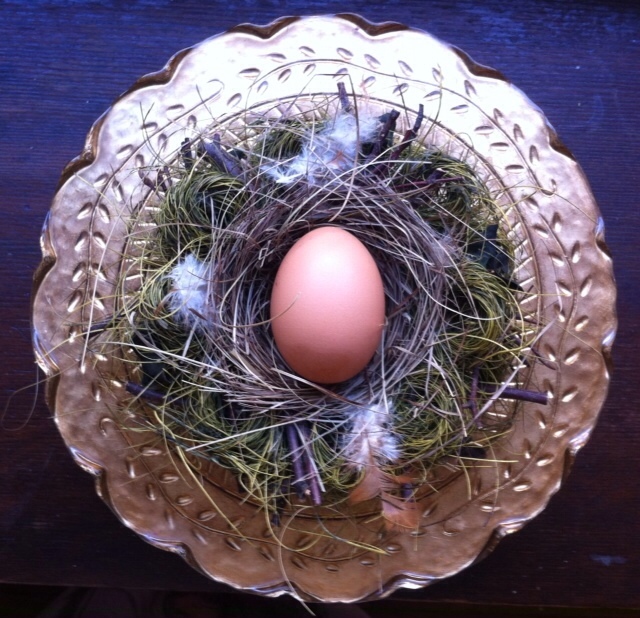 My chickens taught me that eggs have a season. The natural production of eggs depends on the length of light in a day. The short days of winter nearly shut down egg production in my backyard coop. 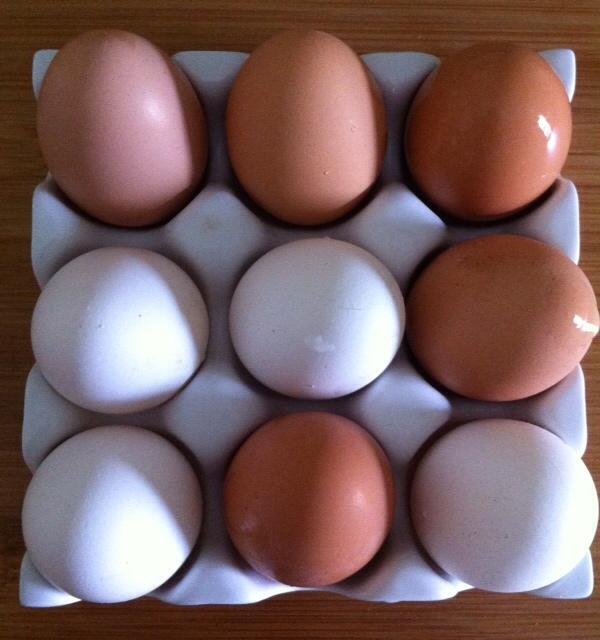 But the long, luscious days of almost spring bring me fresh eggs by the half dozen. The egg section of the grocery store doesn’t recognize the natural rhythm of the hen. We, the consumer, demand the flavor of eggs year round. The market responds with gigantic hen houses that never experience darkness. The water footprint of a single egg is 23 gallons of fresh water. An egg in my backyard and the conventional egg packed in styrofoam have the same water footprint. The difference is in the details. My backyard chickens are fed organic feed, supplemented with kitchen scraps, carrot and beet tops from my favorite veggie vendor at the Oxnard Farmers Market and the occasional grazing in my garden. Backyard chickens isin’t for everyone. But great tasting eggs that don’t compromise the integrity of fresh water systems are available at a farmers market near you. Boil water, enough to fully submerge an egg. 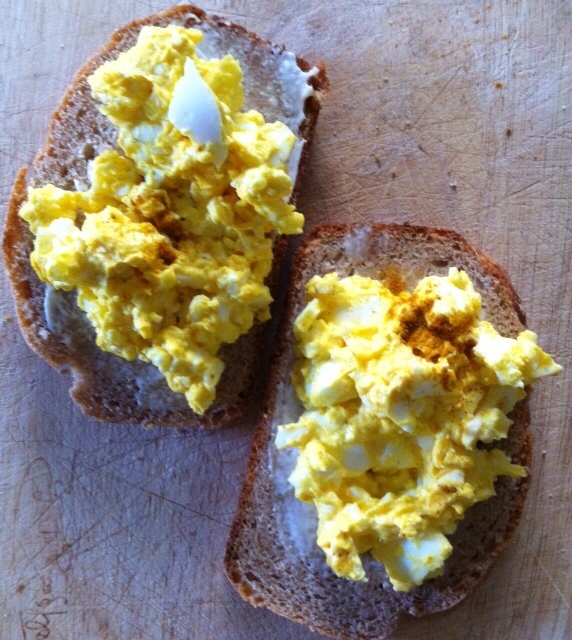 Place eggs in boiling water for one minute, cover. Turn off stove. Let the eggs sit in the water for 12 minutes. Remove eggs from water and they are ready. 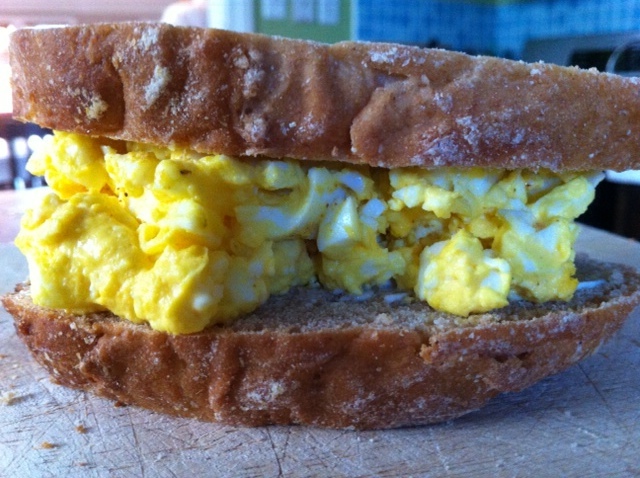 I add a dash of curry powder to my Egg Salad Sandwich to make the flavors sing. Congratulations on winning the AROHO grant. Much admiration (and a little envy, too.) Look forward to reading your work. Thanks Evelyn. I look forward to reading your work too.